Everybody has dreams. We all dream of what our life would be like if we did this or that. Dreams are what keep us motivated from day to day. It is healthy to have dreams. But, what do you do when your dreams don't look like they are in reach? You want something that you realize from your point of view is highly unattainable. You lack the resource, knowledge or maybe skill set. It's too late to go back to school. Your financial resources just can't stretch much further! The emotional support you thought for sure would be there rooting at every turn is long gone. I am here to tell you that no matter how bad things may seem Never Give Up! You can scream, kick, or cry. Do whatever it takes to get through the emotional part of your pain. And then pull yourself together! Evaluate the situation ask for guidance, pray and don't stop. Did you ever notice that the closer you get to your dream the further it seems away? Don't Give Up, you are right there. This is the time to get stronger. Fight harder. Become more determined and if you find that you are doing it alone, know that you are not alone! You never know who is rooting for you! Trust the process and don't skip the small steps! Their are people cheering you on and lighting the path before you even when you cannot see it. Don't Give Up! Entrepreneurship is not an easy road. You must have courage and understand that you will encounter some uncertainties but know that the rewards are so much greater than any issue that you may experience. Change your mindset and use everything that you encounter as a learning experience and file it away in your entreprenurial library! Remember, Don't Give Up! On October 10th, 2016 I opened my Holiday Pop-up Shop! Who would have thought that I in just a few years of having launched my natural skin care products that I would be able to sell them in an actual store location in the same building that I work my 9-5 Job! Not I! I walked by the vacant location for the past 3 years. Last year, 2015 I said to myself, it would be nice to sell my products in that location for the Holiday Season. The next week the store was occupied! I was so upset! I thought darn it, I missed out! I prayed and said if it is meant to be than it shall. I kept making my products. Perfecting my recipes and learning more about my industry. The 2015 holiday season came and went and low and behold so did the business in the store location. I waited a few months to make sure it wasn't a fluke. It wasn't. I immediately began inquiring about the space. I shared my idea with a few people some of whom discouraged me but I thought to myself this is my dream! I knew what I wanted so I kept inquiring. 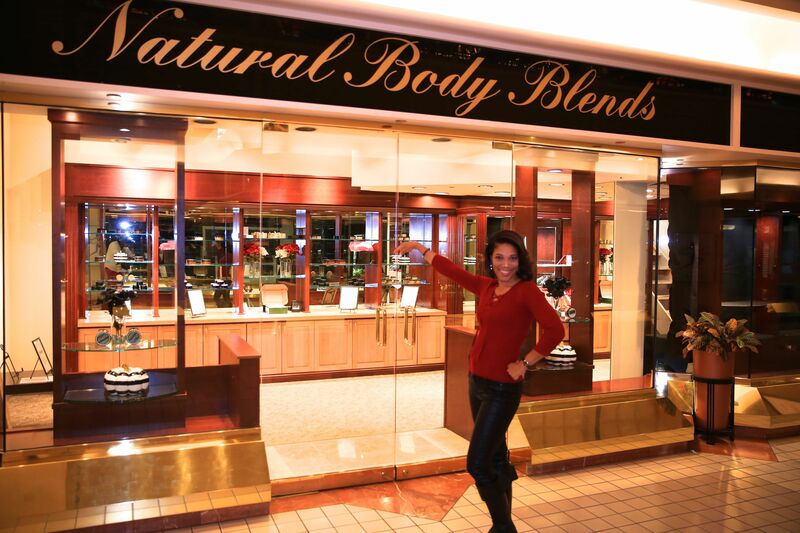 With the help of my oldest daughter and mother, Natural Body Blends By Nicky is now open for the 2016 holiday season. We have received such a warm welcome from the neighboring business owners as well as customers. I am so excited to see what the next few months bring. My work day has now been extended by 2 hours each day and include working on Saturday but It is worth it! I love meeting my customers face to face. Our customers can purchase handmade luxurious natural and organic skin care products infused with Essential Oils that create the perfect aromatherapy! Our products can be topped off with a natural fragrance and natural powders that help maintain and address skin imperfections. If you are in the Pittsburgh area, we would love to meet you! Come visit our store and pick up your holiday gifts! Look for great sales and gift selections throughout the holiday season. Store Hours, Monday - Friday 10AM - 6PM, Sat 10AM - 6PM.